Light, Fruity , Sweet and Refreshingly Good! Makes the perfect no-cook side dish. Combine all the dressing ingredients in a jar or bowl; the hot sauce, mustard, white pepper, garlic, vinegar, lemon, JalapeÃ±os pepper, and olive oil : Shake like crazy -to emulsify for about 2 minutes. Set aside. Be sure to shake it before each use. 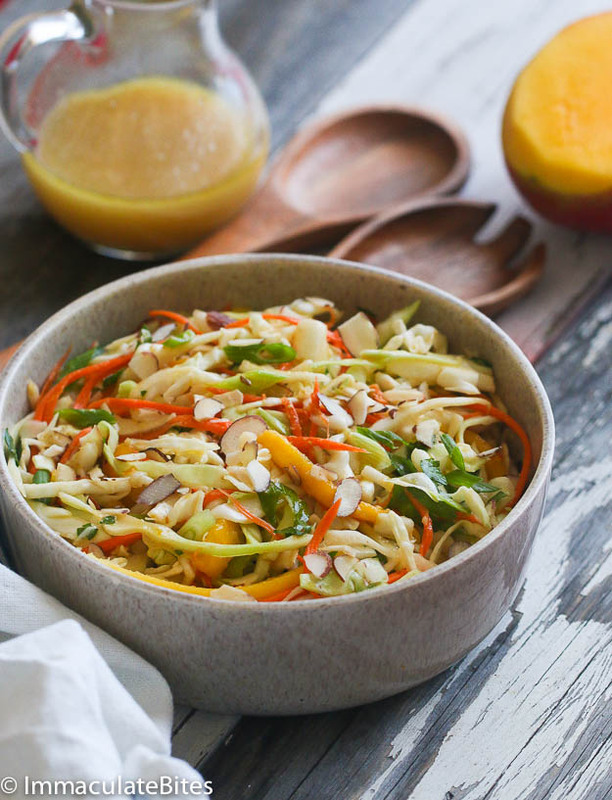 Arrange Cabbage, Coleslaw, Carrots, scallons, mago in a bowl.